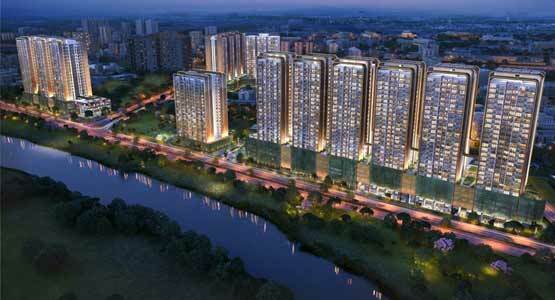 Duville Riverdale, a development by Duville Estate, offers 1, 2 and 3 BHK size able apartments in Heights Towers. This housing project is positioned at the foremost locality of Pune, Kharadi. A region the world describes the Oxford of the East. Intelligently designed with the perfect mix of amenities and facilities, Riverdale Heights is all about complementing your life with More Sq. Lifestyle. To know more about the project Register Now!